Rib Cage Pain, What Is It? A lot of questions about rib cage pain have been coming in recently. There are different kinds of rib cage pain, and of course, different causes. In most cases, rib pain is simply a rib out of alignment. Before we discuss misalignments, let’s cover some of the other possibilities for a pain in the rib cage. First, there are injuries, like a bruise or a broken rib. Other injuries to the chest area or to the cartilage areas of the ribs usually cause pain as can any other kind of muscle injury or strain. There are serious issues as well that could be causing the problem. Here’s a list of some serious issues that can cause rib cage pain: Osteoarthritis, rheumatoid arthritis, cancer, osteoporosis, pneumonia, tuberculosis, asbestos exposure and herpes zoster. Remember, these are not as likely as a simple misalignment that we’ll get to in a minute. There could also be inflammation of the ribs or the muscles between the ribs. This inflammation could be caused by a number of things, like the diseases above. Certain drugs can cause inflammation, and some drugs, like steroids, can be a direct cause of rib pain. The pain can also be referred from other areas of the body like the spine where the ribs connect. 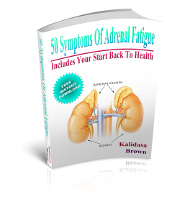 Anxiety and stress can also cause pain in the rib area from tensing and a stressful breath. Wow, maybe I should have put those at the end of the article. In most cases though, a pain in the rib cage is nothing really serious. It may hurt to take a deep breath, or if you move your body in a particular way, but a misalignment in the rib cage is not often very serious, and is usually easy to correct. The ribs form a joint with the spin in an interesting way. There isn’t much room for a misalignment, but then it doesn’t take much. And, the ribs can become misaligned in the front too, usually in the lower sternum area. Sometimes it can be really hard to tell if you just have a rib out of alignment or something more serious. If it is serious, and you have had an accident, or you are at risk for some condition, then seeing your doctor would be a good idea, if for no other reason than to eliminate the more serious issues. Doctors don’t usually know much about adjusting a rib, with the exception of an osteopath. So, if you do determine that your issue is a misalignment, then you have a couple of choices. You could get your rib cage adjusted for back pain relief. Some people are not interested in going to a chiropractor for one reason or another, usually because of fear of the often forceful and sometimes painful adjustments. 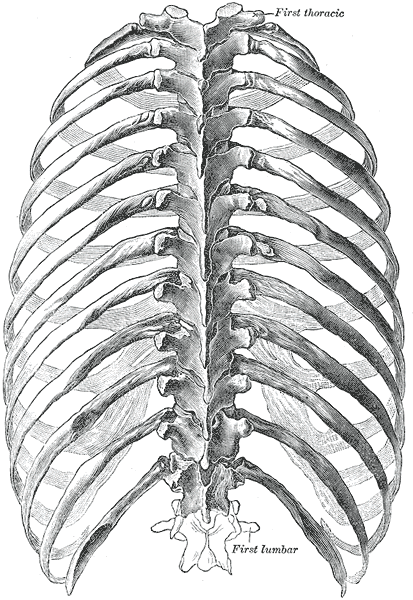 It is possible to adjust the ribs yourself with Self Adjusting Technique. You can find out about finding your own back pain relief through self adjusting at the link if you’d like to go that route. Just to be straight with you, adjusting your own ribs can be difficult. It’s the last Self Adjusting Technique that I developed. I have been able to help people work out how to adjust their ribs via email, and I recently put up a couple of videos to support people who buy Self Adjusting Technique. Rest assured, if I can’t help you end rib cage pain, then I will give you your money back. You can use the contact tab at the top of the page here to reach me any time you like. Next: Who Else Wants A Great Neck Massage For Fast Pain Relief?